Unlike some online pet medication dispensaries, we are run by experienced and fully qualified Veterinary Surgeons to offer you the best possible service and advice when it comes to protecting the health and well-being of your pets and livestock. All of our pet meds are genuine, and they are from the same suppliers as your usual Vet UK sourced, but at substantially lower prices. We are registered with the Royal College of Veterinary Surgeons (RCVS) and are inspected by the Veterinary Medicines Directorate (VMD). Based in Northamptonshire, VetDispense is ideally positioned to serve the whole of the UK with cheaper Pet Prescription Medication, Dog Food, Cat Food and Pet Health Supplements all at the lowest possible prices and all with first-class delivery. You will be sure to find it all at VetDispense, and if you don't, just drop us a line as we can access over 20,000 veterinary products and pet products to help you keep your Pet happy and healthy. Pack of 30 Capsules. Cystaid Plus Capsules may be of use in the management of Feline lower urinary tract disease, particularly feline idiopathic cystitis complex. 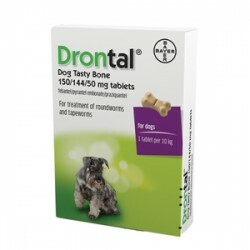 Drontal is the UK's number 1 wormer for Cats. 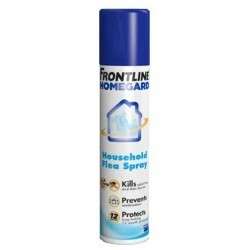 This excellent, broad-spectrum wormer for cats can be used in cats and kittens over 6 weeks of age.